Is there a better alternative to Diptic? Is Diptic really the best app in Image Editing category? Will Diptic work good on macOS 10.13.4? Diptic helps you easily combine multiple photos and apply artistic effects to create exceptional photo collages that can be shared with friends and family. With rounded borders and 56 customizable layouts, there are unlimited options to create unique images! Save Projects! The new ".dptc" file format lets you save your Diptic projects and come back to them later. Import photos from iPhoto and Aperture! Use the Media section of the open dialog to browse your iPhoto and Aperture albums to add to your diptic. 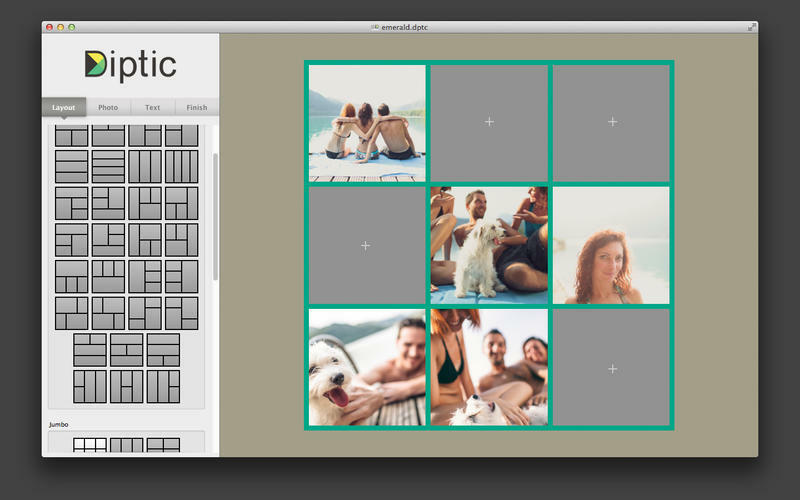 Alternatively drag/drop from your favorite photo management application into the diptic frame.